Award-winning literary scholar and poet Yunte Huang here gathers together an intimate and authoritative selection of significant works, in outstanding translations, from nearly fifty Chinese writers, that together express a search for the soul of modern China. From the 1912 overthrow of a millennia-long monarchy to the Cultural Revolution, to China’s rise as a global military and economic superpower, the Chinese literary imagination has encompassed an astonishing array of moods and styles―from sublime lyricism to witty surrealism, poignant documentary to the ironic, the transgressive, and the defiant. Huang provides the requisite context for these revelatory works of fiction, poetry, essays, letters, and speeches in helpful headnotes, chronologies, and brief introductions to the Republican, Revolutionary, and Post-Mao Eras. From Lu Xun’s Call to Arms (1923) to Gao Xinjiang’s Nobel Prize–winning Soul Mountain (1990), this remarkable anthology features writers both known and unknown in its celebration of the versatility of writing. 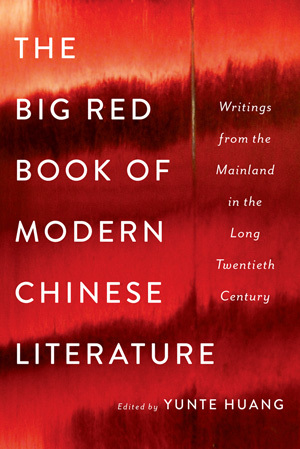 From belles lettres to literary propaganda, from poetic revolution to pulp fiction, The Big Red Book of Modern Chinese Literature is an eye-opening, mesmerizing, and indispensable portrait of China in the tumultuous twentieth century. YUNTE HUANG is a Professor of English at the University of California; he has also taught at Harvard. The author of "Charlie Chan," "Transpacific Imaginations," "Transpacific Displacement," and "CRIBS," Huang, born in China, now lives in Santa Barbara, California.